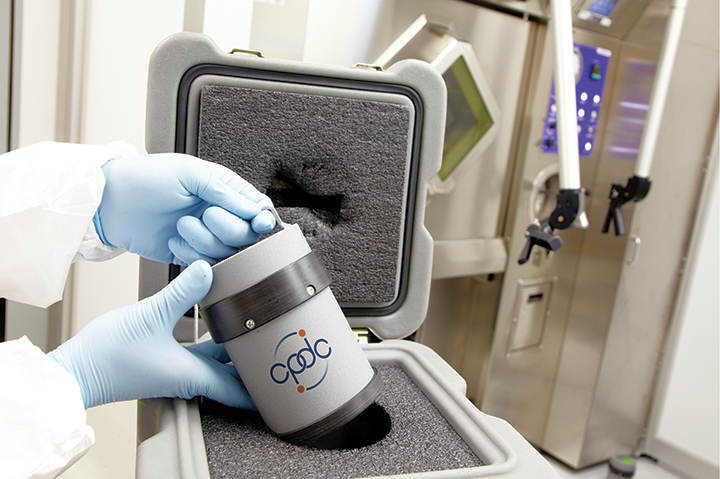 LOS ANGELES, August 29, 2018 – ImaginAb Inc, an immuno-oncology imaging company, and Centre for Probe Development and Commercialization (CPDC), a Canadian centre of excellence specializing in radiopharmaceutical development and cGMP manufacturing, today announced that they have entered into a development and manufacturing agreement for the supply of ImaginAb’s clinical-phase Positron Emission Tomography (PET) imaging agent Zr-89 IAB22M2C to key global geographies. Under the terms of the agreement, CPDC will manufacture and distribute Zr-89 IAB22M2C to ImaginAb’s Phase II clinical trial sites, Investigator Initiated Trial sites and to sites involved in studies being conducted in collaboration and partnership with pharmaceutical companies. Zr-89 IAB22M2C is a clinical stage CD8 T Cell imaging agent designed to non-invasively determine changes in CD8+ T cell tumor infiltrates induced by immuno-oncological treatments. This approach has the potential to guide the development of immuno-modulatory agents as well as provide an early assessment of whether a patient responds to such a treatment. ImaginAb Inc. is an immuno-oncology company focused on providing actionable insight into patient selection and treatment progress for cancer immunotherapy, enabling precision medicine. ImaginAb engineers antibody fragments called minibodies that maintain the exquisite specificity of full-length antibodies while remaining inert in the body. Used with widely available PET scan technology, these novel minibodies illuminate high-value molecular targets, providing physicians with a whole-body picture of immune activity. ImaginAb is also advancing a best-in-class imaging agent to improve prostate cancer management and patient outcomes, as well as developing a pipeline for other targets in oncology. ImaginAb’s products have the potential to improve patient care and lower healthcare costs.